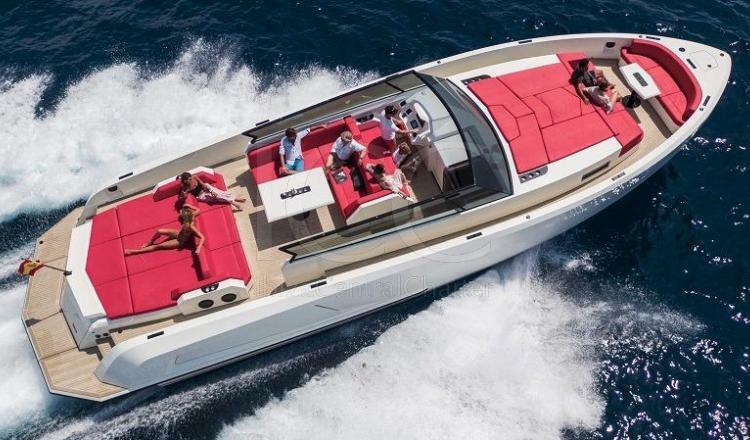 The VQ54 maintains the star qualities of the house, a simple maneuver, cruising comfort and high quality construction. 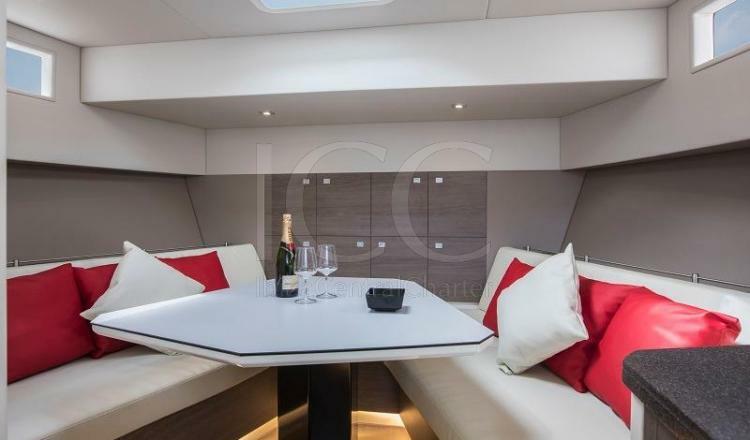 This yacht has almost 17 meters in length and a design in which much attention has been paid to the storage space for all kinds of luggage or toys found on board a Seabob F5S! 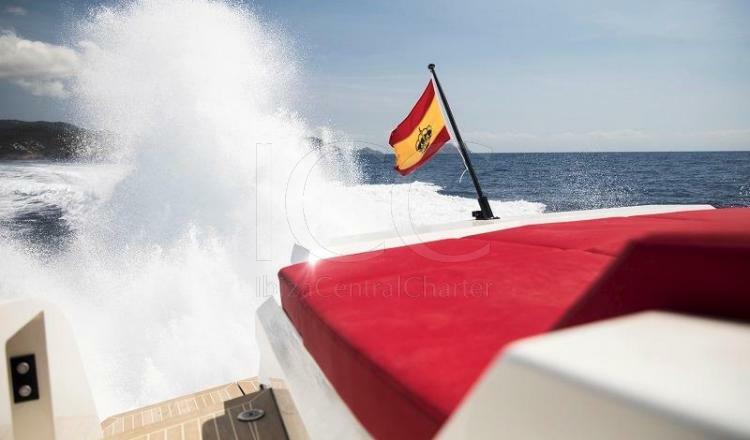 As well as a freedom of movement that guarantees the safety on board of your guests. 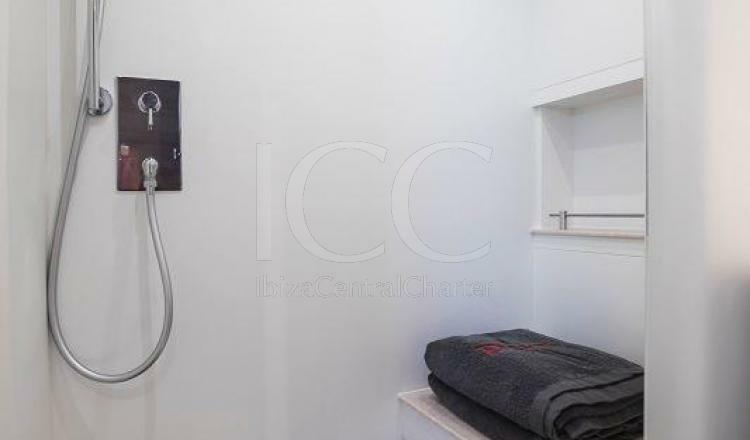 Its interior includes a spacious bathroom with separate shower space, as well as a comfortable bunk bed for two people and a dining room that meets all the requirements to enjoy a perfect meal and atmosphere. On the deck you will find the kitchen and fridge so that you do not lose any detail of the paradise in which you find yourself. 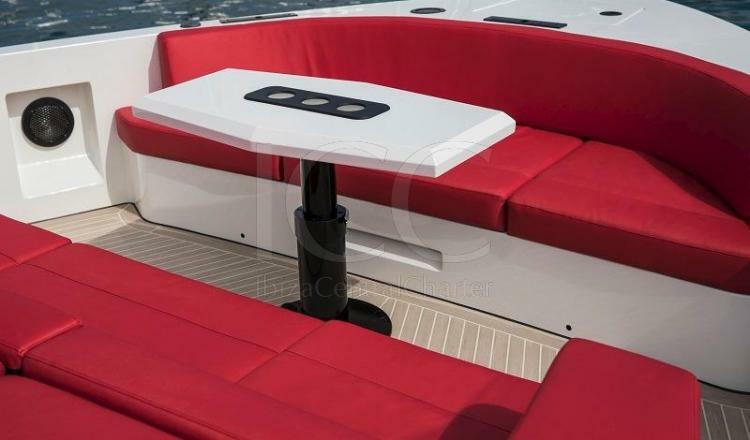 Where you can enjoy a snack or a refreshing drink on a spectacular dinette. 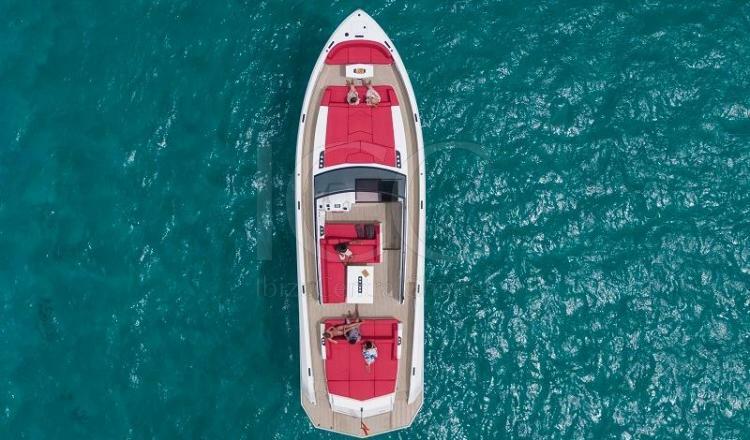 Undoubtedly, the exterior areas of this yacht are committed to the rest and relaxation of your guests. 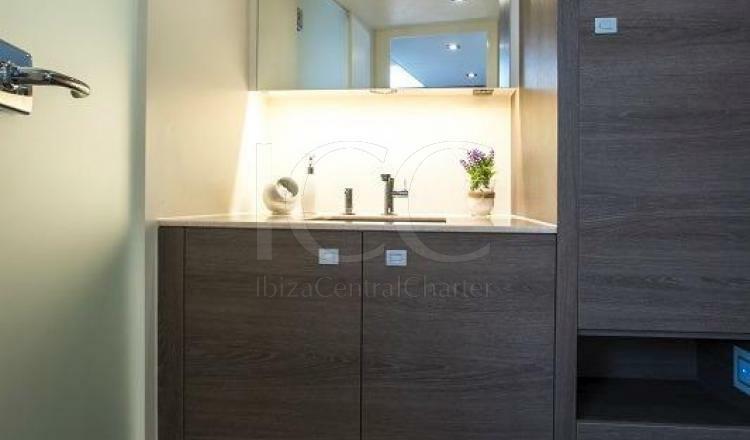 It has a solarium in the bow to lie in the sun and a comfortable sofa complemented with a table ideal to enjoy the beautiful views of Ibiza and Formentera. 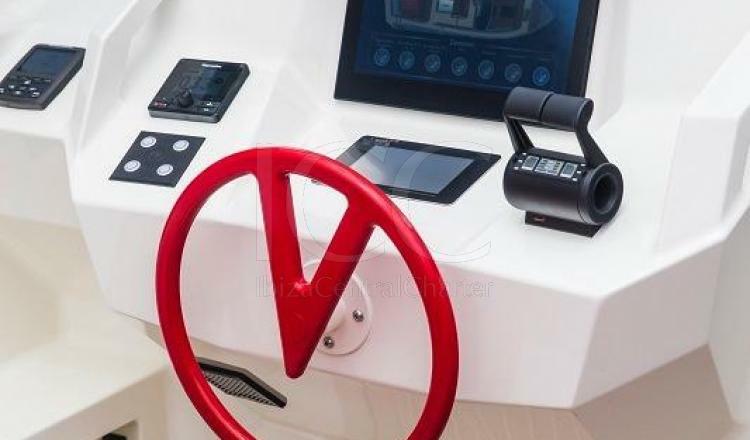 At the stern is an additional solarium with direct access to the bathing platform with a built-in staircase to make it easier to enter the sea. 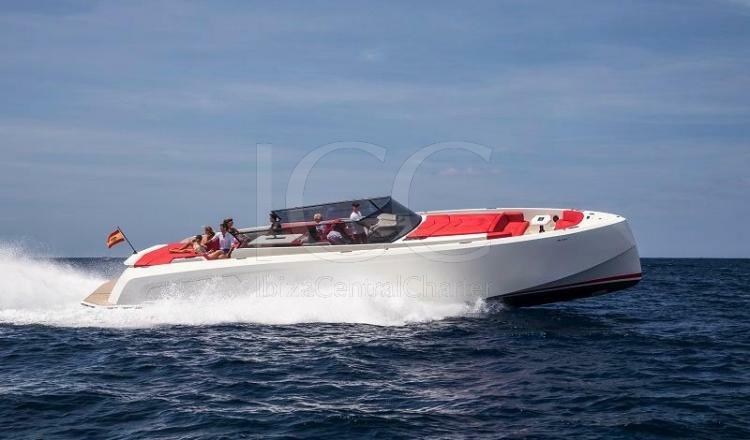 Without a doubt, the VQ54 is ideal for longer weekend charters!